Winding just east of Aspen, Highway 82 makes its way up and over Independence Pass. 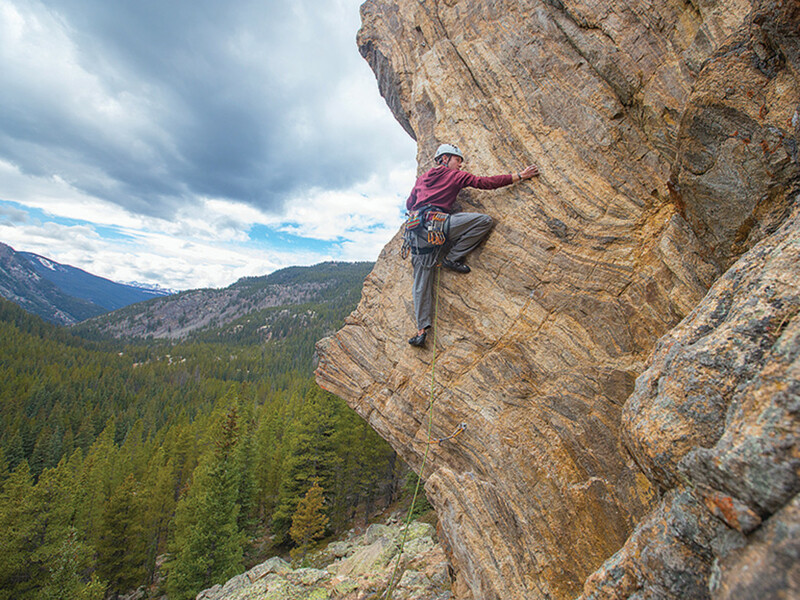 While this drive is known for its scenic views and road biking, it is also home to some of the best granite climbing in Colorado. At almost each turn in the road, routes of every kind beckon climbers of all abilities, with crags and cracks of all sizes and difficulties. Towering granite walls on either side of the valley, perfectly bisected by the highway, make approaches some of the easiest as well. Some routes climb practically from the pavement of the road, while the farthest are hardly a 30-minute hike. As you drive up the pass, the lowest climbing area is Difficult Cliff, with the highest being Instant Karma Cliff, near the summit of the divide at 12,000 feet. 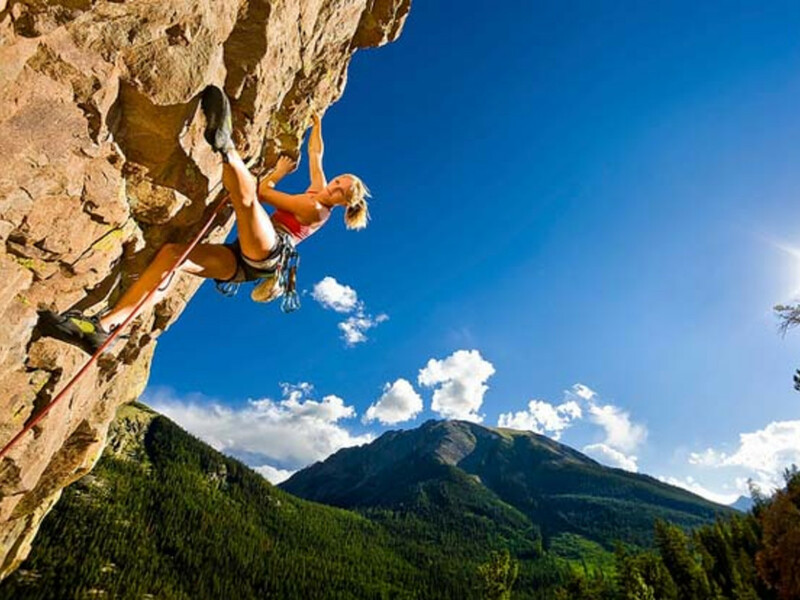 Here, an overview of climbing on Independence Pass, with a recommended route for trad, sport, and bouldering (but there are hundreds more to choose from). And each spot offers something for every type of climber, so there's unparalleled variety, too. Campsite 5 is nestled along Lincoln Creek, just 10 miles east of Aspen. Drive down Lincoln Creek through the other camping sites, and park near Campsite 5 and walk another five minutes walk up the trail, which brings your to a series of bolted walls: The Brothel, The Saloon, and The Monastery. Saloon Wall ranges from a 5.10a to 5.13a, and has the reputation for staying shady, which is a nice bonus as the majority of walls on the pass get a lot of sun and can end up baking in the heat. Also nice about this spot is that’s it has a perfect place to jump in the creek to cool off after a tough day of summer climbing. 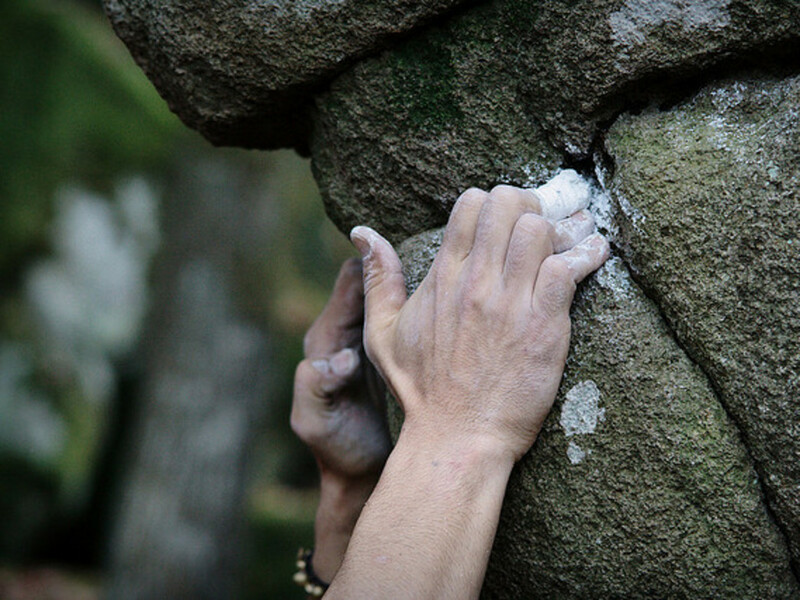 Mix It Up: For some great bouldering, check out Beetle Juice, known for its V2 overhanging dihedral aspect. Approximately nine miles from Aspen, with one of the easiest approaches, Grotto Walls has been called the centerpiece of Independence Pass. With a parking lot at the bottom of a winding bend in the highway, this wall gathers crowds of climbers as well as spectators. This is one of the few climbs on the pass that stays dry when the rain rolls through, as it usually does in the summer afternoons in Colorado. Cryogenics Corner is definitely the flagship crack of this wall. To tackle it, you'll need a lot of gear, ranging from nearly off width at the bottom and finger-sized crack holds near the top. The crack is rated 5.10a with a bonus climb on the second pitch above, rated at 5.10+. Mix It Up: Grotto Walls also features sport climbing ranging from beginner to overhanging expert (5.7 to 5.13), as well as bouldering just at the base of the wall. Upper Boulderfield, also known as Bulldog Boulders, is approximately 11 miles up Independence Pass on the left side of Highway 82. 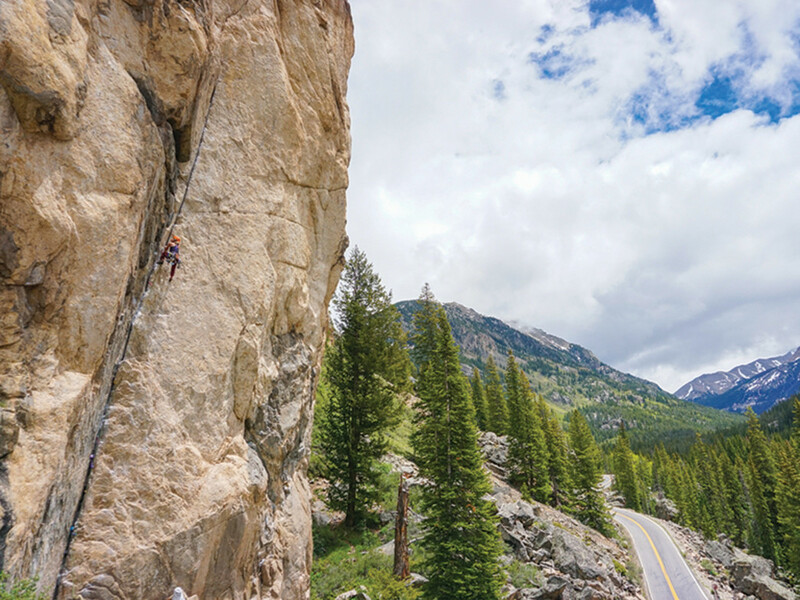 In the one hundred yard stretch, just adjacent to the road, are over 15 bouldering climbs, making this one of the best spot for bouldering along the pass. 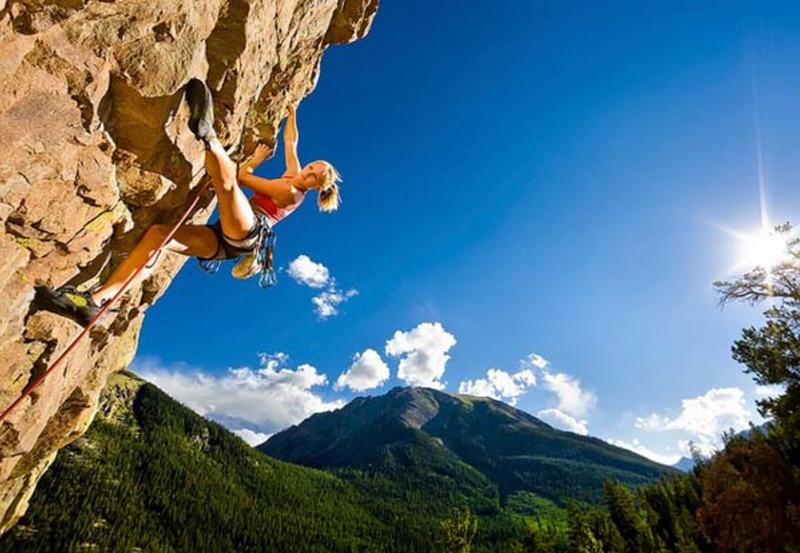 Mix It Up: There is also epic sport climbing, like The Cleaver, high above the bouldering field. This exposed rock face sticks out perpendicular to the wall and offers what is arguably the best view on the pass, looking back down the valley at the Maroon Bells, Pyramid Peak, and Mount Sopris on a clear day.